This top of page computer check has our best security level and works with most business checks software such as: Quickbooks ® , Quicken®, Intuit®, MYOB, Rent Manager and many more. 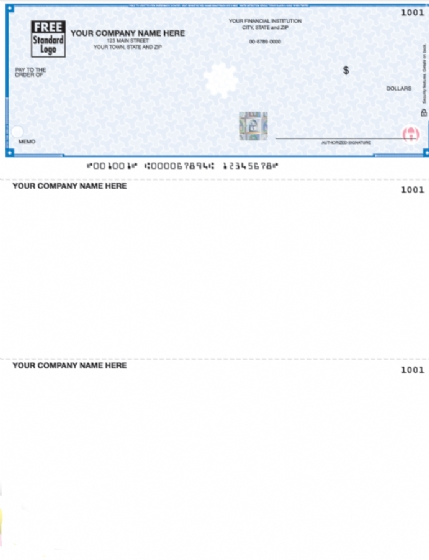 Just load the check paper into your printer, type the information into your software and voila! – a professional looking check ready to be cashed. Two vouchers are attached with the check: one to keep for your records and one for the employee or vendor. 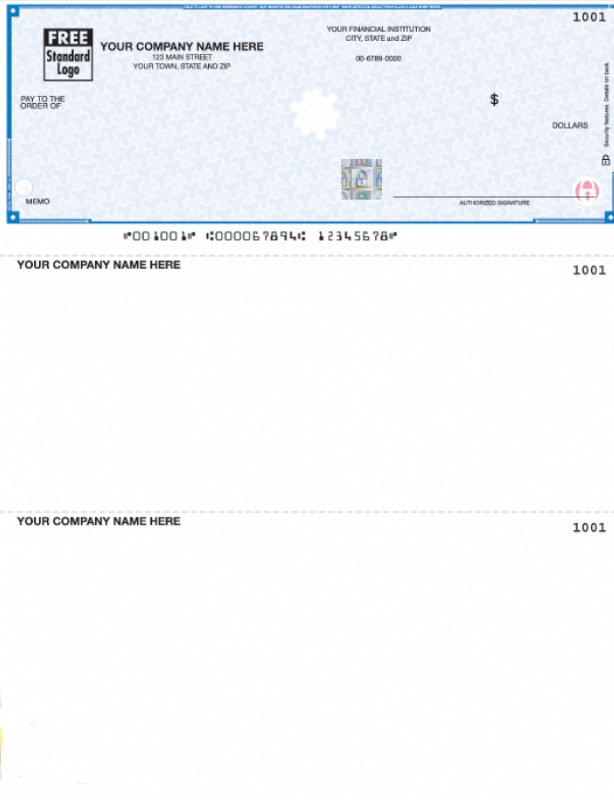 This check is ideal for businesses with a single, all purpose checking account. Check size is 3 ½ inches, middle stub is 3 ½ inches and bottom stub is 4 inches. The holographic checks have a 5-7 bussness day turnaround time. Production time 5-7 Business days! Printable Deposit Tickets that compatible with Quickbooks and Peachtree accounting software’s. Deposit summary prints in the detachable bottom portion. 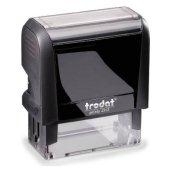 Please fax in a copy of your deposit slip in order for us to verify the routing number so we can process your order. Unless otherwise noted, all information will be the same as your check. This double window check envelope is Security lined for confidentiality and has a standard gummed flap for closure . Save hours of addressing time with these convenient double window envelopes. Can be used with PeachTree,QuickBook and most softwares and is also available in wallet size. Simply place the check inside the envelope and mosit it for a secure closure. If you are looking for a self seal closure please search item # dbl-envelopevss or search the words double window self seal in the search box.